With all the questions this certified color consultant has received about how to choose paint colors, I decided to compile a free eBook for you, my readers, to answer your most pressing questions about color schemes and paint colors. Choosing color on walls can be intimidating, even for some designers, who could choose colors all day for furnishings and accessories. Color is complicated. Choosing colors for your walls is even more complicated. If you binge-watch home improvement shows, scour Pinterest boards, and devour online articles on home decorating and find yourself even more confused, I hope I can help you make sense of color, so you can choose your color schemes with confidence. Is it best to choose my wall colors last? How do I create harmony and flow from room to room? Do I match the wall color with the carpeting, artwork, or furniture? What are the current color trends? How do you choose between trendy and timeless when choosing colors in your home? How do you choose ceiling colors besides boring old white? Are accent walls still a trend? Do low VOC paints really cover the same as regular paint? I’ve seen doors painted dark gray or black in model homes, but I’m afraid to do that in my home. If you paint your interior doors dark, do you also paint the casings and base molding dark? How do you compromise when your kids want crazy colors and you want to keep it more neutral? Download your free eBook here. 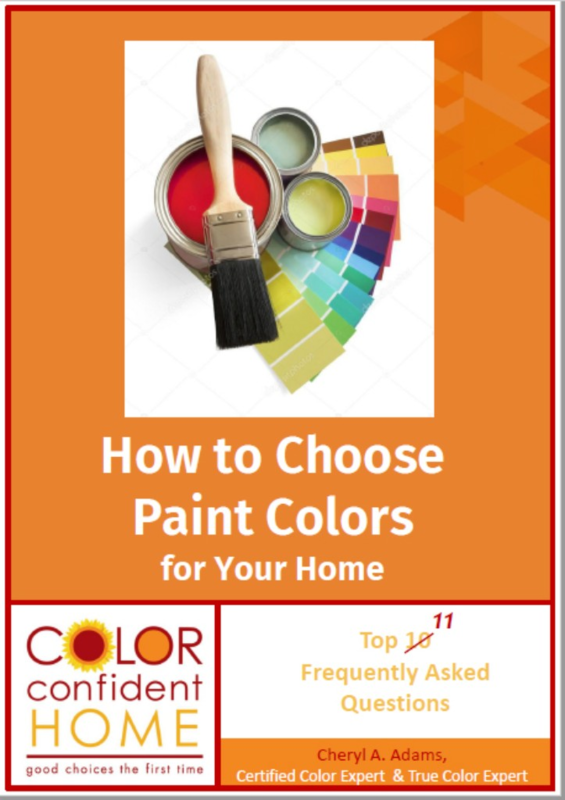 If you still need help after following all the guidelines in my eBook, feel free to call for a Color Confident Home personalized color consultation by a certified color consultant at 248-509-4720, or email me at Cheryl@ColorConfidentHome.com or click here. 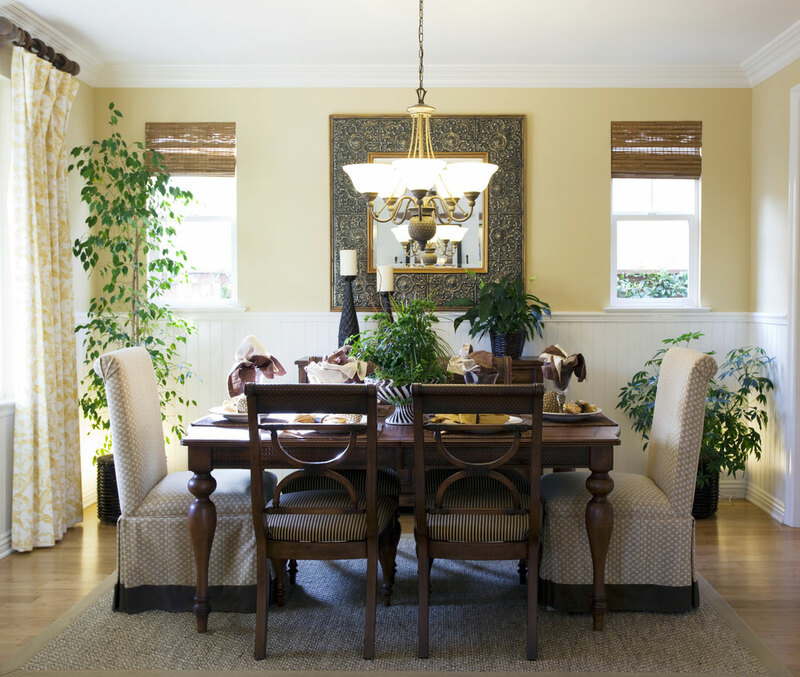 Begin at the Beginning – When you choose paint colors, be sure to have a starting point, whether it’s the fabric on your dining chairs or a pattern in your window treatments, a favorite area rug or a favorite piece of artwork. Define your color scheme by choosing two to four colors from the furnishings and finishes that are already in your home and will be staying. Know Your Likes and Dislikes – have fun noticing which colors you love in other homes, in restaurants, in magazines, and online. 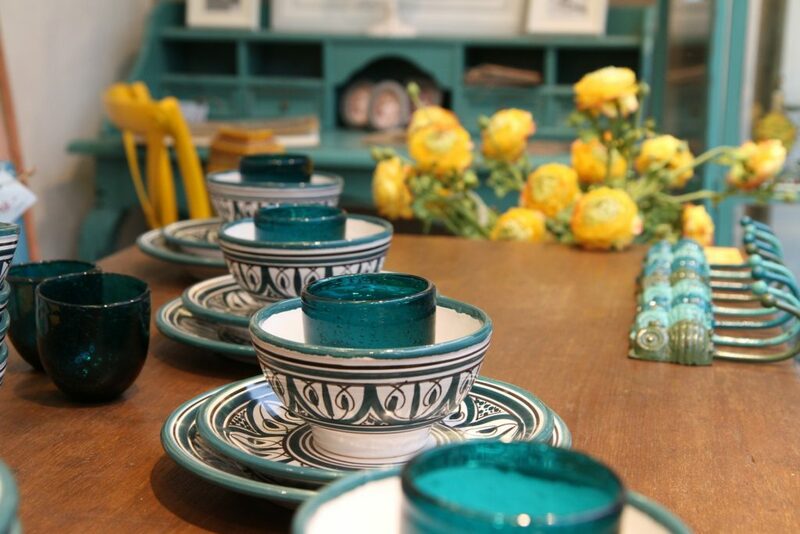 Knowing what you like will help ensure you use colors that you will love to come home to. Analyze the Undertones – Even whites have different colors underneath when compared with a true white. The key to creating a look of harmony is to match the undertones of your new paint colors to your existing undertones. Floors, countertops, stone, and fireplace surrounds count! Consider Mood – in addition to making your space visually beautiful, decide on the mood you want in each room. A mood is a feeling. For example a peaceful, calm room will help you recharge, restore, and relax, which is perfect for a bedroom. 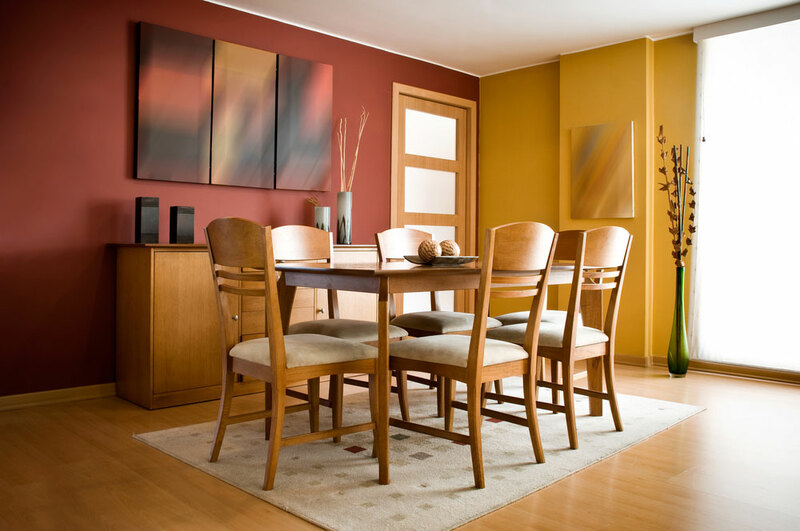 In a dining room where you entertain, you might want an energetic feeling that stimulates conversation. Think of how you want to use each room then use colors with personalities that match the mood you want. Consider Your Color Scheme for Remodels – When doing a total remodel or replacing cabinets, countertops, tile, and flooring, choose paint colors in conjunction with these elements. If the undertones in your granite are in the beige family and you want a gray color scheme, you will likely need to choose a different granite. Take Your Time – be sure to test the colors and sit with them, ponder, view them in different lighting conditions at different times of the day. Choose Paint Colors – Once you go through these steps, you will then be able to choose the right color the first time! If you want a professional consultation, click for Certified Color Expert help. For more ideas, see my idea book at Color Confident Home – Houzz. Also, follow me on Facebook here. For a consultation or a quote contact me. Are you overwhelmed with the task of choosing paint colors for your home? Small color chips do not give homeowners a true idea of how paint colors will look on the expanse of a wall. According to a Benjamin Moore survey, fifty percent of paint sales come from people choosing the wrong color the first time. As a certified color consultant, I have observed many house interiors and exteriors. Some homes have different colors in every room, while others still have “builders’ white” in abundance. Many homeowners choose neutral paint colors but use different tones in each room. So how do you add color and create a look of harmony and balance? Decide which you like and don’t like. Dream, do a vision board, peruse the paint chips at a paint store, look in magazines and on Pinterest or Houzz.com (search for Color Confident Home and look at my idea boards on both sites). Start with the 60-30-10 rule of design. Sixty percent of your room color will be a neutral or a color that is a backdrop for your furniture, accessories and artwork. Neutrals can be grey, white, or beige and also light to medium colors that work as a backdrop to other colors. The majority of neutrals have either cool or warm undertones of a color. Blues, greens, and violets fall on the cool side with reds, yellows, golds, and oranges on the warmer end. Warm whites and creams, muted colors such as yellows, oranges, and reds look best with beige neutrals, while cool whites, black, and bright, vivid colors look best with gray neutrals. A current trend mixes warm colors and cool colors, but to get it right you must have a mix of texutres and an eye for design. Walls with vivid colors can create a dramatic look, as long as design rules are followed and the eye has a focal point as well as a balance that allows the eye to rest. Look at your existing furniture, cabinets, and other fixed items like countertops and flooring. What are the undertones in your current colors? If your sofa is brown with a pinkish hue, you’ll want to find paint colors in the same undertone family. If your carpeting is gold-beige, be sure you choose neutral paint colors with gold undertones. Choose your trim color based on your undertones. Off-whites and creams go well with warm, muted colors while white and cooler off-whites provide a crisp look for cool colors. Natural light, the number of windows in room, time of day and season affect the color of light entering your home, as well as how the colors in the room will look. Your artificial lighting, including the amount, type, and color of bulbs, also determines how paint colors will look on your walls. After you narrow down your choices to two or three, buy small paint sample containers and paint a piece of two-foot by two-foot foam-core or poster board with two coats. Let dry overnight, and then view the sample on different walls in your room at different times of day over several days. You will then be able to choose your paint color with confidence! With the thousands of pant chips available at paint stores, it can be hard to know where to begin. Have you ever painted a room only to find the color does not look as you thought it would? Many factors, including natural light, lighting fixtures, season, and existing furnishings, fixtures, and finishes, influence the way a color looks. If you want to make sure you’re choosing the right colors, as well as colors that will create harmony from room-to-room, or from interior to exterior, you can use the rules of design and color. Cheryl Adams, a certified color expert from Color Confifent Home, is trained to help you create your personal palette with confidence. After an initial phone interview, Cheryl will provide an on-site consultation to help you choose your paint palette for walls, trim, and ceilings. Using her Six-Step Color Process and the rules of color and design, she will take into consideration your current cabinets, counter tops, and flooring and make recommendations for your overall color scheme. Cheryl will work with you the whole time, assessing your color sensitivity and likes as well as your current furnishings. She provides large paint samples you can keep for easier selection of your paint color schemes. If you’re starting from scratch, do the undertones in your finishes match? Which neutrals and colors will complement those elements? How is your current lighting affecting your colors and the feel of your home? 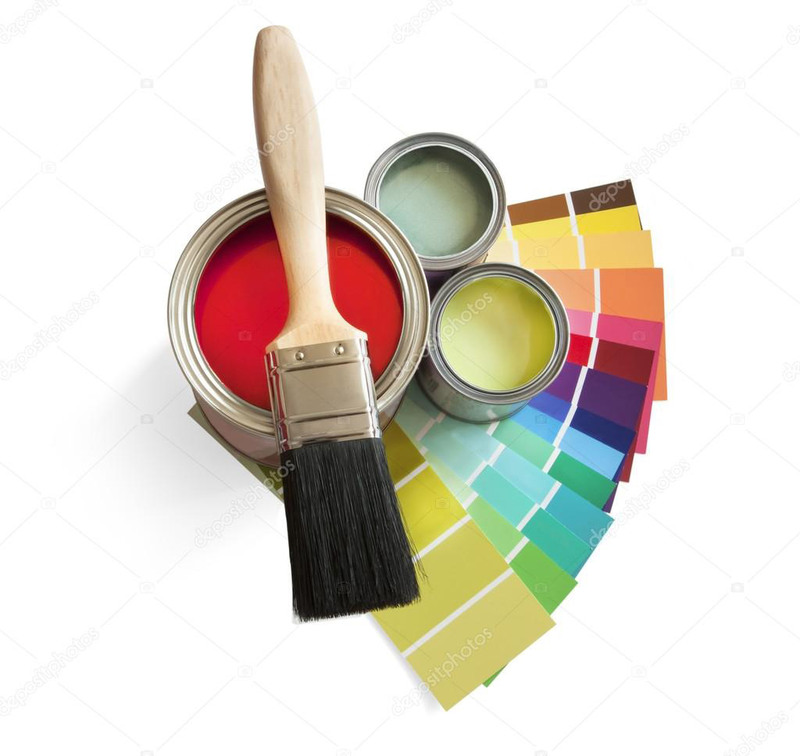 Cheryl Adams – Certified Color Expert – Color Confident Home of Rochester Hills Michigan can help you decide on paint and color for you home that creates harmony from room to room. Who’s the boss in your home? The first step to choosing interior colors for your walls is to determine the dominant features and the undertones in your furnishings and finishes. If your granite counter tops have a strong pattern or consist of multiple colors, they will be a determining factor in your color selection. A grayish-blue sofa must be considered when selecting wall colors. Are your cabinets wood? The colors in the wood will also give you a starting point for choosing your paint. Lastly, your flooring materials will either be neutral or dominant depending on the material, pattern, and color. A friend recently asked me why the kitchen cabinets she painted a light gray did not look right. With the recent trend of gray, many homeowners struggle to find the right colors to go with their existing finishes. When I assessed my friend’s existing finishes, I discovered her backsplash had brown undertones. I explained to her any updates to the past Tuscan trend of warm tones like browns, muted oranges and reds, and golds requires paint colors like beiges, creams, and off-whites to harmonize with the undertones. The incoming trend of “greige,” a warmer gray with brownish undertones, would tie in her backsplash while still giving her the updated look she wants, IF she chooses the right greige. Remember, undertones are key. No matter the undertone, patterns are considered bosses. Granite, quartz, marble, patterned backsplashes, brick fireplaces, and stone are dominant features, unless they are very neutral in color and pattern. And remember the undertones. (Have I stressed that enough?) Carrera Marble and gray, black, and bluish undertones go well with whites, grays, blacks, navy, and more saturated colors. Again, consider your flooring, especially if it’s tile. A pinky beige tile paired with neutrals containing any undertone other than pink will look off. So before you choose your interior colors, know who’s the boss.